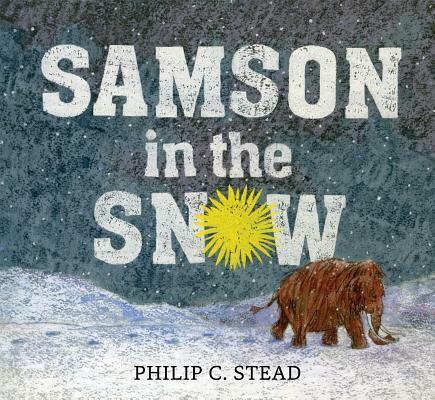 Samson the mammoth searches through the snow to find his friends—and some brightly colored flowers—in this touching wintry tale. 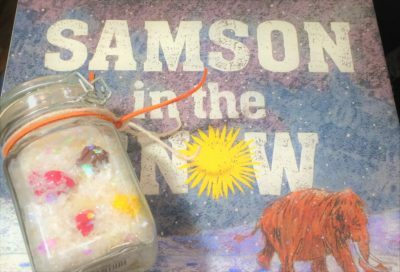 You can create your own discovery jar and uncover friends and flowers hiding in the snow with this simple craft. 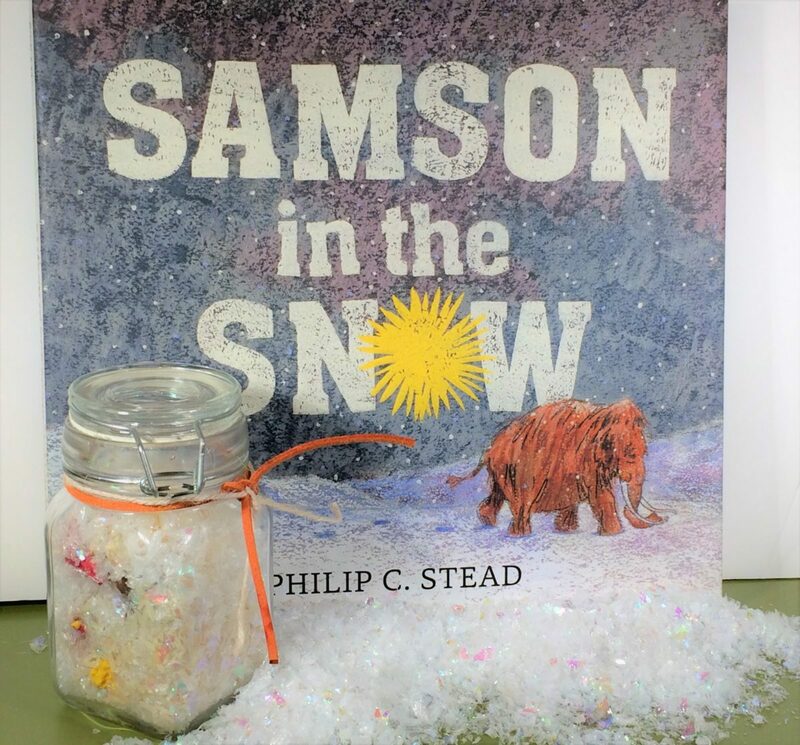 A clay bird, mouse and dandelions hide in a snowy wonderland—and it’s up to you to find them, just like Samson does. Get your materials together and let’s create! 1. 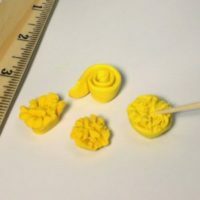 To make dandelions, cut a small piece of yellow clay. 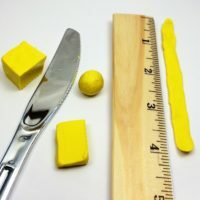 Roll into a “snake” and flatten with your fingertips so you have a narrow, flat strip between 2″ and 4″ long. 2. Roll the strip into a spiral (like a snail shell) and pinch slightly at the bottom. 3. 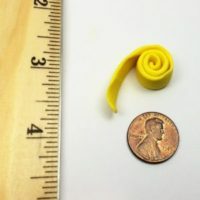 Drag a toothpick or other thin, pointed sculpting tool across the spiral in several directions, “cutting” the spiral into dandelion-like petals. 4. Repeat to make 3-4 “dandelions” per jar. 5. 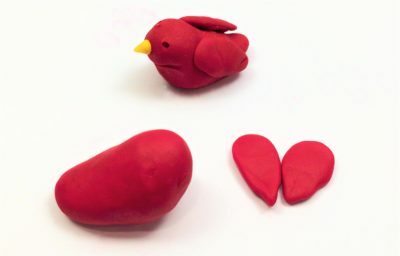 To make your bird, cut a piece of red clay. Mold into an egg shape, then flatten one end to make a tail. 6. Make 2 flat tear-drop shapes for the wings (or, a heart shape cut in two). 7. Use a toothpick to make two small impressions for eyes and a “smile” shape to define the bird’s head. 8. 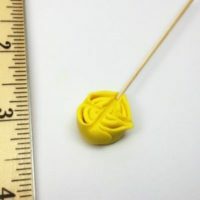 Attach a tiny cone of yellow clay for the beak. 9. 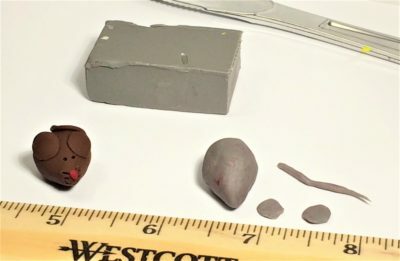 For your mouse, make an oval shape with gray or brown clay. Pinch one end to make a pointy nose. 10. 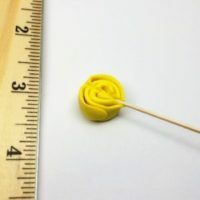 Make a thin “snake” and two circles of the same colored clay for tail and ears. Attach them to your mouse body. 11. Use a toothpick to mark two eyes and whiskers. A tiny ball of red clay makes a cute nose. 12. 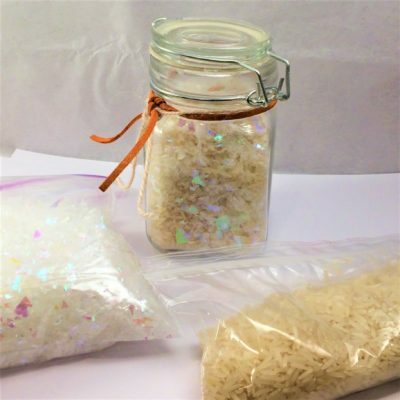 While your clay items bake or air dry, combine equal parts rice and imitation snow (we used “Buffalo snow” for the glittery look of the big flakes) in your clear container. 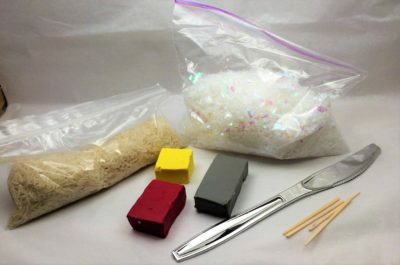 Don’t try to use ALL fake snow—it clings to and hides the items too well! Fill the container about 3/4 to the top. 13. Insert your finished clay figures in the jar/bottle when they are dry and cool. Add a little more rice if needed. 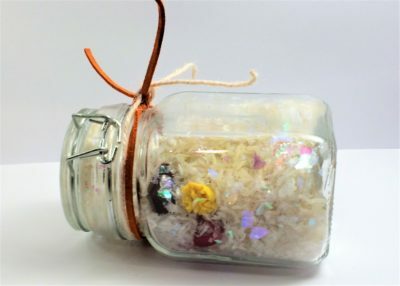 Leave a little space for items to shift and move as you shake the jar! 14. 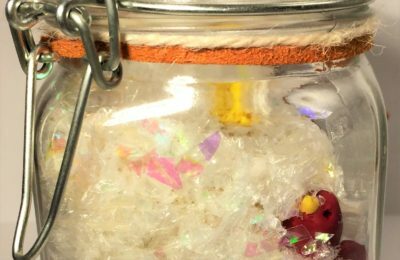 Tie a ribbon or yarn around the top of your container and seal it tight. If you have very young and curious children, you may want to glue the top on! 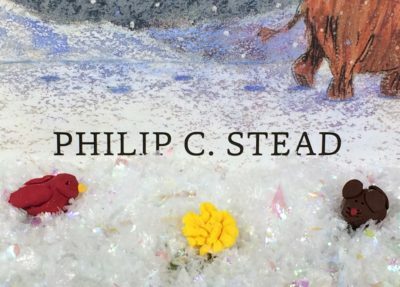 Time to shake-and-seek for the bird, mouse, and dandelions hiding in the snow. Samson found his friends—can you?